In today’s world it's hard to imagine one company being the leader in a product line for six decades. But Hesston and their product have done just that since 1955. 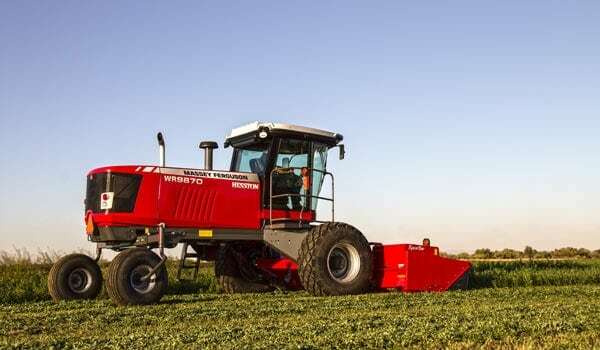 Since Hesston’s first self-propelled swather rolled into the field 60 years ago, they have produced 100,000 machines, a truly impressive manufacturing feat. Today’s product is the most technologically advanced self-propelled on the planet, and still the leader after all these years. Come see why at Montrose Implement, your Western Slope source for Hesston windrowers. See us also for Hesston rakes and tedders. Ready to purchase, or have questions?